Traditional short-sleeved shirt in summery light blue colour. Light, summery fresh sporty check in light blue. 100% pure cotton. Very nice fine smooth and well-groomed goods surface. Expressive embroidery legend on the front with stag horn buttons. 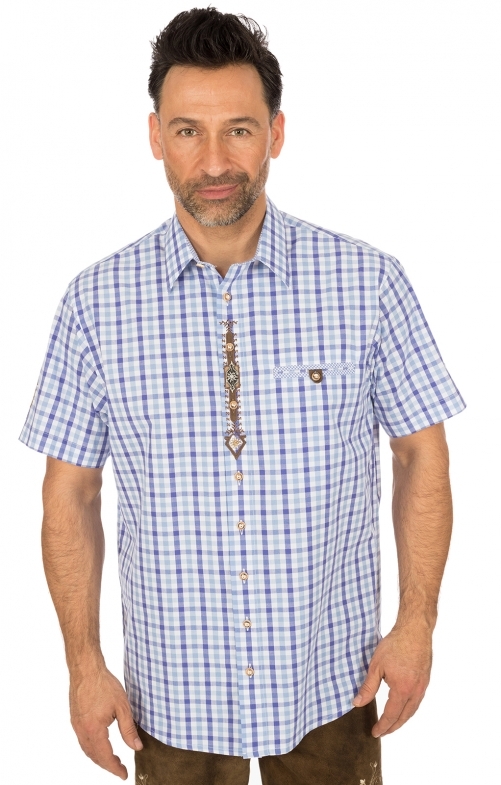 The buttoned breast pocket on the front is ideal for pens, glasses and pouches.